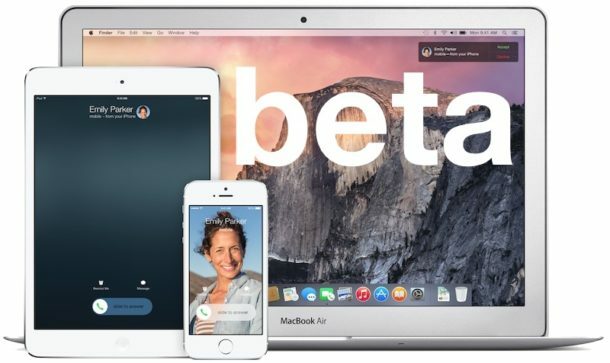 Apple has released updated beta versions for their entire operating system lineup, including OS X 10.11.6 beta 2, iOS 9.3.3 beta 2, watchOS 2.2.2 beta 1, and tvOS 9.2.2 beta 2. All beta updates likely aim to resolve bugs and offer minor enhancements, which is typical with point release system software. Users who are participating in the beta testing programs can find the updates available now from their respective devices software update mechanism. Currently the beta versions are available for those in the developer program, but the public beta versions typically follow soon after for users enrolled in the public beta testing effort. The most recent stable versions of system software are OS X 10.11.5 for Mac, iOS 9.3.2 for iPhone and iPad, tvOS 9.2.1 for Apple TV, and WatchOS 2.2.1 for Apple Watch. The current versions of system software are likely in maintenance mode as Apple is set to debut the next major release versions of Mac OS X, iOS, WatchOS, and tvOS at the annual WWDC conference in the coming weeks. Not sure these are news stories anymore, as it’s now every couple of weeks that there is a new beta or point release. Well, nothing exploded. Nothing got fixed either. I think you’re right; really, we’re just waiting for WWDC. I do hope they actually get around to doing some quality work, though.